Depending on the set up of your grow room, you can face one of two problems with humidity. You either will have too much humidity or not enough. Here we are going to work on how to handle the latter situation, the one of too little moisture in the environment. Unlike some other situations, you might encounter while growing weed, having too little humidity is usually an easy fix. Most people don’t realize that their cannabis plants absorb water through their roots, and through their leaves. Your plants will naturally adjust, based on the humidity level of the air. The higher the humidity in the air, the more water the plant will absorb from the atmosphere, and the less water they pull up from their roots. Weed, after all, is a tropical plant and thrives in an environment which replicates these hot, wet conditions. Finding the perfect combination of heat and humidity are crucial to a bountiful harvest. Correct humidity is just as crucial for the small time grower, with only a handful of plants, as it is for the massive commercial operations. What is the Perfect Humidity Level for Weed? During different stages of your crops development, you’ll need to adjust humidity levels. Just like the seedling and vegetative stages of growing marijuana requires different light spectrum and temperature settings, they also need different humidity settings. Seedlings usually need humidity settings between 40 to 60 percent. Clones need a bit of encouragement, between 70 to 80 percent humidity. During the vegetative stage, you’ll want to reduce the moisture down to somewhere in the range of 40 to 60 percent. And finally, the last few weeks before harvest, your plants will require even less. The Pigeon420 explains in depth about proper grow room conditions. How do You Measure Humidity Levels? Whether you have one plant or hundreds, you’ll want to invest in a little instrument called the hygrometer. If you’ve got a dedicated grow room, you can purchase a stationary one which attaches to the wall. Otherwise, a handheld hygrometer works just as well. When you do use a handheld device, you’ll want to take the humidity at least a few times a day, at different periods. Keep track of the relative changes, and make appropriate adjustments in the environment to bring it back to the appropriate level. Do You Need to Add Humidity for a Small Grow Room? Not every small grow room or grow tent needs a humidifier to boost moisture levels, but it’s worth investigating to make improvements to yield. Depending on where you live, and other influences over the internal atmosphere, you may find even a small grow tent needs a little help. If your room is too dry, the difference in air pressure between inside the cannabis leaves, and the room itself will dehydrate your plants. You read that right, the water from inside the leaves moves into the dry outside to try to equalize the pressure differential. There are a few things which influence the humidity level in your room. Higher temperatures will increase evaporation from soil and sitting water, increasing humidity of the air. If you have lots of electrical equipment in the room, including the grow lights, this will, of course, raise the temperature and perhaps influence moisture levels in the air. Even where you live can influence the natural levels. If you live in a higher elevation, or in a desert region, you will usually need a little boost of moisture in your grow room. Although some growers do struggle with too low of moisture content, most will find the opposite challenge. Too much humidity is a huge concern for most grow rooms. With all the electronics and the moist soil or sitting water in ebb and flow systems, many growers struggle to keep the levels down. Too much moisture is a breeding ground for mold, fungi, and other microorganisms. It can lead to crop-wide infestations. Before you go adding humidity into any grow room, you’ll want to analyze the environment first. Check the levels with your new hygrometer, and then make adjustments if needed. Can You Make a DIY Humidifier for the Grow Room? Thankfully, if you do need to increase the relative humidity of a standard size room, it likely won’t cost much. You can find many household humidifiers for well under $100. But, if you don’t want to invest any money, technically you should be able to make one at home. All you need is a small towel, a bowl, and some type of rack which can hang the towel above the bowl. Fill the bowl with water, and hang the towel over the rack. Place the bottom end of the towel in the water, so that it starts to absorb. Because of the heat of the room, as the towel absorbs water, it will evaporate into the air from the larger surface area. Making a simple humidifier with the items around your house can easily solve your humidity issues. Unlike other types of humidifiers, an ultrasonic one relies on sound frequencies. Little, tiny, high-frequency vibrations disperse water droplets into the air. These are then expelled into the room. Ultrasonic humidifiers are quite affordable and some of the quietest household models on the market. They also generally use less electricity than other models. Filters can help transform chlorinated tap water into a purified mist, which is much healthier for your plants. What are the Benefits of a Cool Misting Humidifier? There are both cold and warm misting humidifiers. The warm mist versions, use a small heating element inside the device to promote moisture evaporation into the air. Cool mist humidifiers are ideal because they rely on either ultrasonic or a wick to disperse room temperature water through a fine mist. These humidifiers use less electricity than a heated version and help reduce the overall temperature of the grow room. If you want a quieter device, stick with the ultrasonic variety instead of the air wicking versions that use a fan to disperse the vapor. 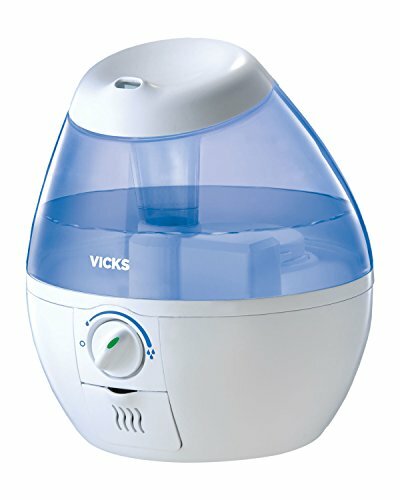 Before purchasing a humidifier, do a bit of research. Figure out how big your grow room is and what your moisture needs are. If you only need a little improvement in humidity levels, no need to bring out the big guns. Find something with a larger tank to avoid constant refills. If you don't have time to monitor, look for a device which has built-in automatic shut-offs and timers. If you are concerned about noise, look for those appliances meant for children’s bedrooms, of the ultrasonic variety. Unless you own an industrial grow room, and need a specialized commercial size humidifier, you can probably moisturize the room with a simple household appliance. Humidifiers, long used for health and wellness, are affordable, readily available, and come in a range of sizes. Whether you go for a mister or an ultrasonic variety, it's easy to get overwhelmed with the options. How do you make a decision when faced with so many possibilities? Here are a few of the top choices available today, perfect for the small to medium-sized operation. This is a humidifier, and a hygrometer all rolled into one. If you remember that old infomercial, where the salesman yells “Set it, and Forget it” into the crowd, you’ll appreciate the control features of this household device. The Opolar not only has a timer which you can preset for anywhere from one to nine hours of moisture production, but it also monitors and adjusts for humidity. If you set it in advance, it will keep up humidity levels to whatever level you want. You really can set it and forget it. This takes one aspect of grow room responsibilities off your plate. Unlike many humidifiers, it is noise free and has a large aesthetically pleasing LCD control panel. It also has a comparatively large tank, holding 5 liters of water so that you can forget about continually refilling throughout the day. 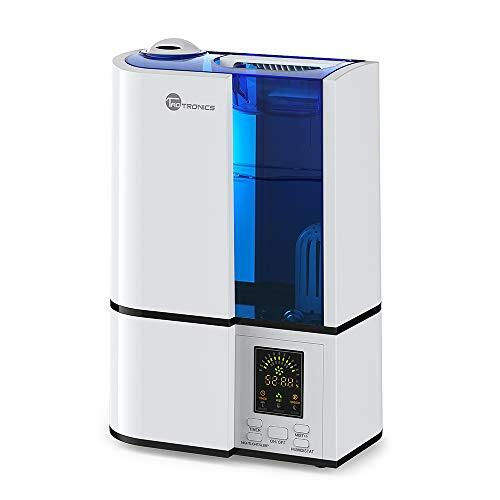 If you are concerned about the quality of the tap water in your area, you’ll want to invest in a humidifier with state of the art filters. TaoTronics comes with a microporous cartridge to filter out any unwanted microorganisms and particles before dispersing it through your room. It has a four-liter holding tank, which can boost humidity levels for at least 12 hours in a large room. It’s designed for use in larger grow rooms, up to 538 ft². If you are counting, that's a grow room with more than a few plants. If placed in the center of a room, it’s 360-degree rotating nozzle equally distributes water vapor throughout all four corners of the operation. The TaoTronic also comes with a timer and large, easy to use LED screen. Again if you are concerned about any additional noise, this device uses ultrasonic technology which means its one of the quietest models available. 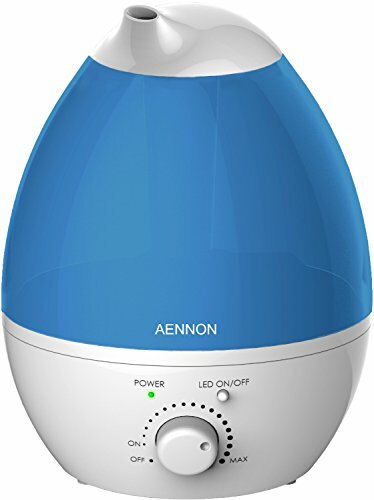 The Aennon humidifier is a model specifically designed for use inside the home, and with children. But the same features which make it perfect for your children, ironically also make it useful in the grow room. This includes a safety shut off feature, so when the reservoir runs dry, it automatically turns off and prevents overheating. Also, the whisper quiet mechanism won’t add any additional noise to the many other electronics already buzzing around your plants. The 2.8-liter tank, although smaller than some other designs, will provide ample moisture for a typical room of a house - up to 20 hours worth. 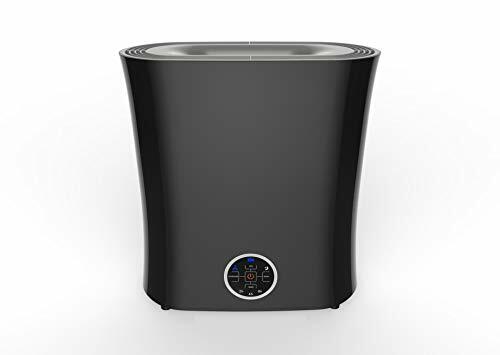 For the smallest operations, for example in a grow tent, this humidifier is the perfect size, only six inches wide, and nine high. It should fit into even the smallest single plant tents. And, just in case you were wondering, it will also rotate through a soothing rainbow of lights. Another great option for small spaces, this tiny humidifier, is both affordable and functional. It’s everything you need for a grow tent, or closet grow space, with only a very small investment. Despite its relatively simple design and minimal features, it still has multiple settings. Meaning you can adjust depending on the level of moisture you need in the air. On the lowest setting, even the small half liter tank will pump out water vapor for 20 hours before drying up. Like some of the other humidifiers on the list, it works using ultrasonic technology - it's totally quiet and uses barely any electricity. 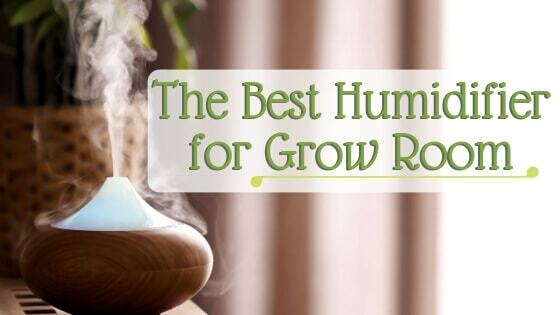 This mini humidifier is best suited for those at-home growers who only have a handful of plants, and don’t require a significant boost to their relative humidity. So if you’ve just got a little grow tent set up in the corner of your spare bedroom, this is the product for you. A big tank, which holds four liters can easily moisturizer your entire house, and especially your grow room. 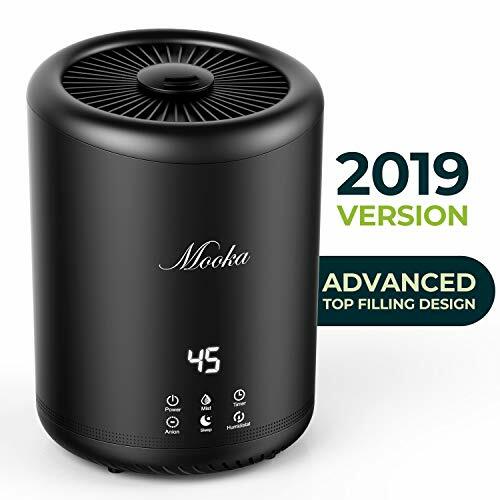 Even if you are stuck in the middle of the Arizona desert, your plants will be happily drinking up the thick, moist air pumping out of the Mooka device. It’s also got four separate layers of filtration, to remove any harmful pathogens or lime deposits from your area's hard tap water. Many people don’t realize the quality of the water going into your humidifier can directly impact the health of your plants. If you are concerned about the water coming out of your taps, you worthwhile to invest in a humidifier which can filter all the bad bits out. It’s another extremely quiet device, which can provide between 15 to 20 hours of output for a room of up to 322 ft².